A must-read for students, and a should-read for others. Click on the cover to purchase. It was a dream that came at great expense: the present disparity in health and economic well-being between First Nations and non-Native populations, and the lingering racism and misunderstanding that permeates the national consciousness to this day. About the author: My research focus is on the impact of environmental change on the health of indigenous people. My historical work investigates the role of disease, changes to subsistence practices and climate change in the historical development of western Canada. My current research projects include the impact of introduced species, horses and domestic cattle, on the well-being of First Nations. James Daschuk, Paul Hackett and Scott D. MacNeil, “Treaties and Tuberculosis: First Nations People in Late 19th Century Western Canada, A Political and Economic Transformation.” Canadian Bulletin of the History of Medicine, 23 (2006): 307-330. James Daschuk, “A Dry Oasis: The Northern Great Plains in Late Prehistory,” Prairie Forum 34(Spring 2009). As most everyone knows, my passions are 1) Canada, 2) Canadian history, 3) history, and 4) everything else. When I was going to school, right through my university days, Canadian history was colonial history, i.e., a sub-category of English history, populated by kings and generals and dry as chalk. Unfortunately, with the exception of people like James Dashuk and a few others, Pierre Burton comes to mind, very little has changed. However, now the focus is on multicultural history, and once again Canadian heritage history is being brushed aside. 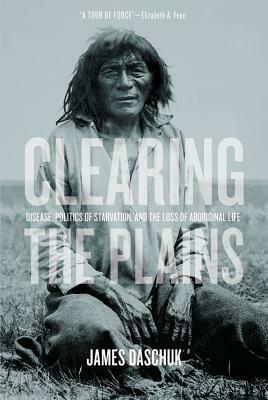 It is not to say Canadian history hasn’t been without its dark side, which James Dashuk so capably points out in Clearing the Plains: Disease, Politics of Starvation, and the Loss of Aboriginal life [University of Regina Press, August 1, 2014]. An actual pile of buffalo skulls. 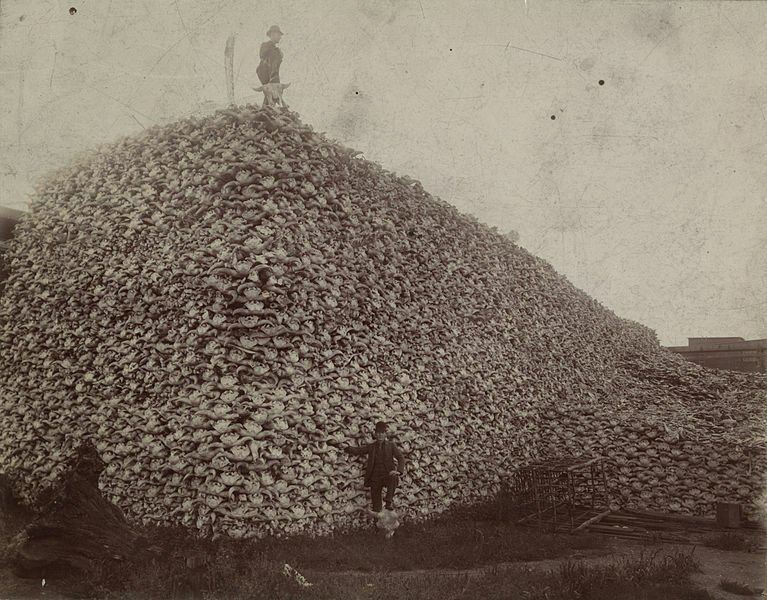 Slaughtering the buffalo was part of a plan to starve the Natives off the land. In it, Dashuk presents an indictment of meticulously researched evidence to show that the catastrophes visited on many of the Native People were state sanctioned. That is to say that John A. MacDonald, his government, speculators, and lobbyists like the Canadian Pacific Railway, indulged in systematic starvation, as well as the spread of infectious diseases to eradicate ‘the Native problem’ on the western prairies. I will not take any examples out of context, for they are best read along with the supporting evidence; however, suffice to say that Dashuk presents a very compelling case with scalpel-like precision. A word must be said for the writing style, as well. This is an academic treatise, to be sure, and yet it is readily readable by the average person with an average vocabulary. Indeed, the author’s prose is as precise as his topics he presents. We can justifiably accuse the governments and people who participated, now dead, but the crimes of our ‘forefathers’ do not appropriately apply to the seventh generation. This is a great book: A must read for students, and a should-read for others. Five bees in the nonfiction category.